Connect with God and others. CONNECTION GROUPS have one, simple purpose: to bring people together. Groups meet together each week in convenient locations to share life’s experiences while building authentic relationships, growing in faith and engaging in ministry. GRoups BEGIN March 11th. Join A GROUP Today! Join Maureen to discuss a provocative new picture of how to understand who Jesus was and how to relate to him today. Hear from women just like you who are seeking to grow in their faith. Together, you’ll grow closer to a community of people who will support and encourage you along the way. 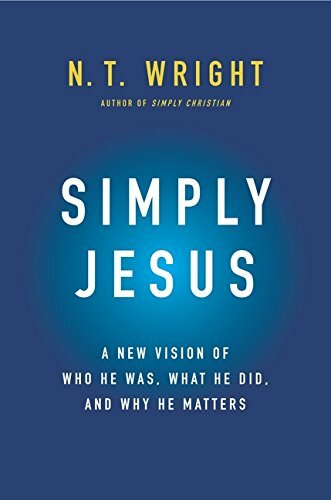 Join Dwight & Tanya to discuss a provocative new picture of how to understand who Jesus was and how to relate to him today. Hear from people just like you who are seeking to grow in their faith. Together, you’ll grow closer to a community of people who will support and encourage you along the way. Join Linda to discuss a provocative new picture of how to understand who Jesus was and how to relate to him today. Hear from people just like you who are seeking to grow in their faith. Together, you’ll grow closer to a community of people who will support and encourage you along the way. When you sign up, the leader of your new Connection Group will contact you with the address of the Group’s meeting place, the date and time you’ll be starting on, and all the other information you’ll need to have a great experience. WHAT HAPPENS AT A GROUP MEETING? You may have seen Groups meeting and not even realized it. A Group looks like friends at lunch, teams playing basketball, or people studying a book or topic of interest. At its core, a Group is a gathering of people, and it is less about what you do and more about who you do it with. By participating in Groups, you can expect to connect with others through a common activity, engage in life giving conversation and request prayer. HOW OFTEN DOES A GROUP MEET? Most groups meet once a week for 10-12 weeks. Groups are meant to bring meaning and community into the flow of your life, so even if you can’t attend every meeting, there is still great value in joining a Group. Groups meet in places like homes, parks, restaurants, coffee shops and office buildings. The leader of the Group selects a meeting spot that best fits the purpose of the Group. HOW LONG DOES A TYPICAL GROUP STAY TOGETHER? Most Groups meet for 10-12 weeks. This way, new people can join Groups easily and regularly. This also allows you to try multiple Groups each year. Childcare varies from group to group. When you search our directory for a group, the group profile will indicate if childcare is available. Invite as many friends, co-workers, neighbors, family, etc. that aren’t connected to another church. Connection Groups are designed to get people connected to our church and to one another. The more people, the better.